Precision and technical perfection are only one side of the coin with Bauer Gear Motor. The deciding factors behind their work are the individual problems of our customers. They regard these as a challenge and offer tailor-made, comprehensive solutions. It is frequently a matter of countering severe operating conditions. Great cold, heat, dust, dirt and spray-water demanded much commitment, know-how and creativity. Today, they do everything to achieve the optimum for you. 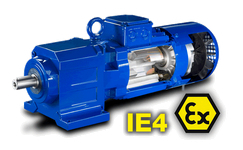 Whether it is difficult applications or economic solutions in particular, you can be sure of their commitment with Bauer Gear Motor. Purchase your Bauer Gear Motors NOW!